The two main types of angarahkas prevalent in this region are - frock-style and waist-length kamari angarakha and long angarakha that reaches below one's knees. 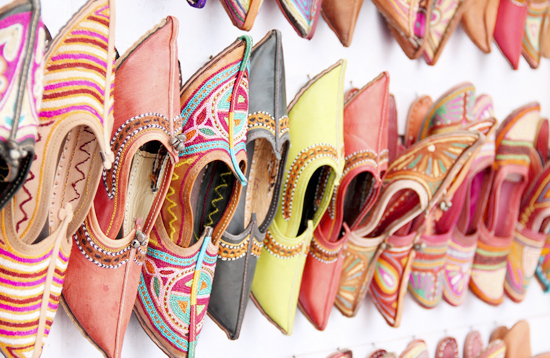 Special types of pagris are designed during festivals and they can be found in different shapes, sizes and colours. 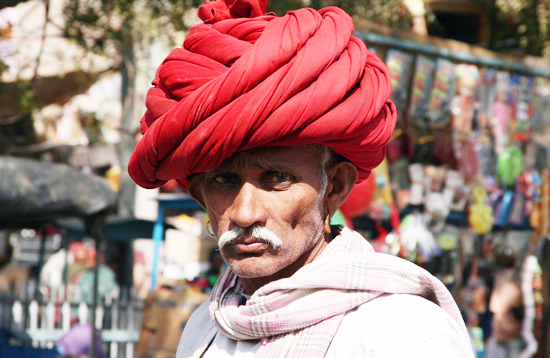 People of Udaipur wear a flat pagri whereas the people of Jaipur prefer wearing an angular pagri. 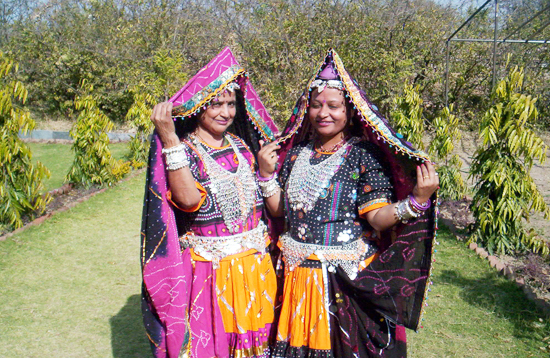 Women of Rajasthan wear a long skirt called Ghaghra, Choli or Kurti (blouses and tops) with an Odhini. The Ghaghra reaches above the ankle that has a narrow waist increasing the flared and width to the base. Ghagaras come in many styles but the most popular ones are dyed or printed cotton ghagharas with laharia, mothra and chunari prints just like the turbans of the males. The odhani is a cotton cloth 2.5 to 3 meters long and 1.5 to 2 meters wide that acts as a veil for women. 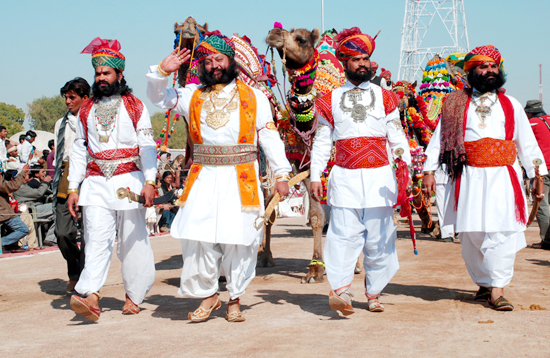 'Mojaris' or 'jootis' (made up of camel, goat or sheep skin) are worn by both males and females. The shoes, for men and women, are crafted with delicate embroidery upon brocade or velvet, pasted on the exterior surface of the shoe. 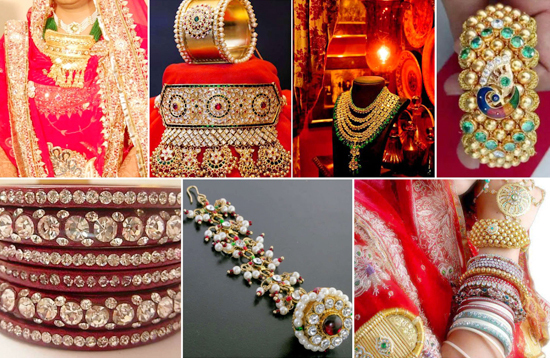 Rajasthanis are very fond of jewellery. Wealthy class wears gold ornaments studded with diamonds, emeralds and rubies while the others wear chunky silver ornaments. An earring or a pair of studs is common among men along with a gold chain or string of pearls or even silver 'hansli'. A pila is nothing but an odhni with yellow backdrop and red lotus motif at the center. The vibrant and colourful land of Rajasthan, with hospitable and well-attired men and women add a splash of colour to the otherwise parched landscape. 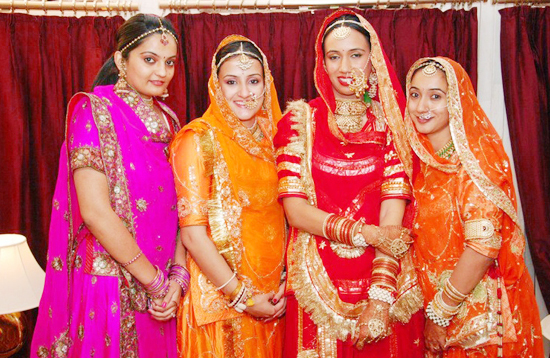 Turbans are an integral component of most ceremonies. They help forge relationships between families. An exchange of turbans signifies a long relationship, friendship and brotherhood and or even the end of a feud. A ‘pagari’ is usually 82 feet long and 8 inches wide. A ‘safa’ is shorter and broader. The common man wears turban of one color, while the elite wear designs and colors according to the occasion.